Municipalities are continually tasked with accomplishing more with less. As budgets are reduced but taxpayer demands and expectations increase, municipalities must find new ways to improve efficiency and effectiveness. This requires creativity and maximizing every resource possible. A website loaded with useful information such as contact information, hours, directions, applications, forms, meeting agendas, meeting minutes and instructions can significantly reduce the number of phone calls and visits that government agencies receive. Similar to the increased staff efficiency, improved taxpayer satisfaction is generated by reducing the need for residents to call or stand at a counter to get the service and information they need. Furthermore, municipalities with effective websites differentiate themselves from municipalities with no websites or older websites. A good municipal website can help attract new residents. Websites can be used to enhance an initiative. Want to incorporate or expand a recycling program? Post information on the website outlining the details and instructions. Want to receive feedback from constituents? Put a form or questionnaire online and ask for feedback. Just as businesses use the web to promote their company, products and services, municipalities can use the web to promote local events. A website with current content can be a great tool for residents to know about upcoming events such as community events, parades, town hall meetings and fundraisers. Unlike other forms of advertising, websites and social media are free. These are all great features with many tangible benefits. However, questions are often raised about how much volume actually visits a well-run municipal website. A great case study is Oakland County, Michigan. Over 11 million page views. The download of over 860,000 documents. Generation of $17.8 million in revenue from online transactions. Taxpayer savings of $2.8 million. 23,000 pages are responsive to account for the roughly 30% of traffic that comes from mobile devices. 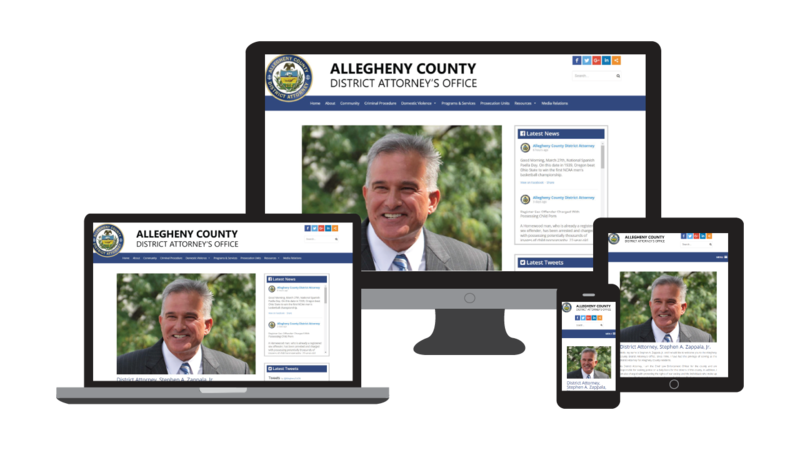 Just by improving a website, municipalities can see a definitive increase in the amount that constituents rely on that website. This data proves that regardless of a municipality’s demographics or income, a responsive website is absolutely necessary. Now that we know that a website is needed, how should it be structured and what should it include? While the answers to these two questions will vary depending on each municipality’s needs, there are some generalities to follow. From a structure standpoint, user experience and the flow of information is extremely important. Not everything and every department can be on the home page. It is important to design the site so that pages contain useful information that easily found but without pages full of clutter. Having menus and drop down boxes to give visitors options will dramatically improve the user experience. In summary, a well-designed, responsive municipal website can be a great investment that returns improved efficiency, constituent satisfaction and free advertising for a municipality. In the case of Oakland County, Michigan, the site delivered $2.8 million of taxpayer savings. Just having a website is not enough. As witnessed by the State of New York, an optimized responsive website can significantly increase the amount of traffic visiting the website. The importance of responsiveness will continue to increase as more and more citizens transition their internet usage from computers to phones and tablets. MIBS has experience working with various cities, townships and boroughs to design, develop and deliver great municipal websites. When the time comes for your municipality to seek bids for a new municipal website or an update to your current website, please make sure to include the professionals at MIBS on the bid list.